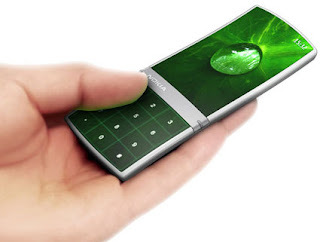 Nokia's research and development team have kicked it up a gear with an attractive "aeon" concept phone showing up in the R&D section of the company's website. 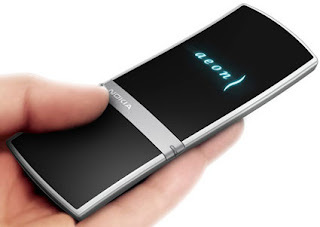 The most prominent design feature of aeon is a touchscreen that stretches over the full surface area of the phone, similar to BenQ-Siemens's Black box concept phone we saw recently. Currently mobile technology isn't quite up to realizing this fantasy, but we'll sleep better tonight knowing that at least one of the cellphone industry's biggest names shares the same dream as we do -- BenQ's dream didn't count, unfortunately.